Celebrating 50 years serving the Shenandoah Valley. Thank you for visiting Kate's NATURAL PRODUCTS online. We are your full service natural health store serving Harrisonburg and the Shenandoah Valley since 1969. 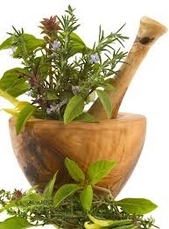 Bulk Foods and Herbs, Gluten-Free, Natural Health and Beauty Products. We provide the best of today's health product options. Stop by and see all that Kate's Natural Products has to offer! We hope to see you soon. Call us to inquire about products.